The holidays are months away, but it is never too early to start planning ahead. Trust me, your wallet will thank you. If you’re a procrastinator when it comes to gifts or even budgeting make this year different! Follow these tips and hopefully you won’t feel like the holidays have put a drain on your pocketbook this year. Who wants to enter into Thanksgiving and Christmas dreading it? Well, not me. However, if I forget to plan ahead and don’t budget appropriately, my bank and my face look a bit grim. A little careful planning and you could actually sit back and relax this holiday season knowing you were frugal! Wouldn’t that be much more enjoyable than realizing you went into debt for things people won’t even remember the following year? Now here are some savvy tips to keep that cash right where it belongs, in your wallet: Make a spending limit for the parties you plan on having and the decorating you will be doing! Holidays add up and soon, if you’re not careful, you and your family will have thrown away cash you could have been budgeting. These budgets work best if you start at the beginning of the year so that you can budget for Easter, Halloween, Thanksgiving, and Christmas. 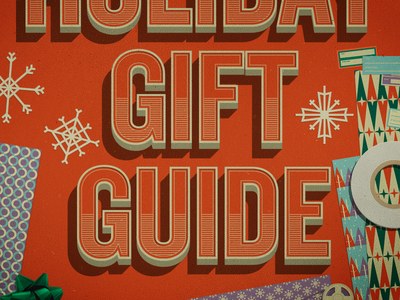 You’ll want to budget for decorations, candy, food, and gifts. Try and spend less so you can either put that money toward the next holiday or save it! Don’t try to it do it all! Ask your friends to pitch in and make it a potluck! That way you can save not only some money and time on prep, but also some stress! What is nice about this is that you won’t spend all your time in the kitchen while your guests are enjoying themselves and you’ll have time to fellowship. Don’t overdo it! Keep it simple. Décor doesn’t have to be over the top for it to be beautiful. Remember: less is more! Shop the year before to get some great deals on holiday decorations. Don’t spend a lot and remember that holiday only lasts a day and is gone! Save your money on more important things. Plan ahead. Buy your gifts in advance to not only save stress, and avoid long lines, but also keep your hard earned cash in your wallet. When you buy ahead you are able to find better deals and bargain hunt. You are also able to shop clearance or save for those gifts you’ve been eyeing. Remember: stay within that budget! Hunt for free or almost free activities! You would be surprised at how many things are free during the holiday season. The mall that was near my house had a free meet and greet with Santa and even fun activities leading up to Christmas. If your town doesn’t offer these events put all your family in the car and drive around to look at the lights! Then come home and prepare hot cocoa and play some fun board games. Use your imagination! Not everything has to be expensive. The most memorable things are often without cost. Try to implement these few tips this holiday and see how it affects your bank account. I bet you will be less of a Grinch this season and much more jolly! What tips do you employ to help save you and your family money during the holidays? I feel like the holidays always come a lot faster than we expect. My family and I have been doing Secret Santa gift exchanges for the past couple of years to save money. Not only does it save money, but it also saves you the time and stress of having to shop for a bunch of people. Karen, I agree. Families keep getting bigger what with babies being born and people marrying….secret Santa is so smart! I love that idea. Christmas is pricey enough without having to add in the cost of a gift for every individual. 🙂 Thanks for reading! Great tips. Another good way is have a dollar cap on the gifts… or not give gifts at all. The holidays really should be spending quality time with family, not gifts.